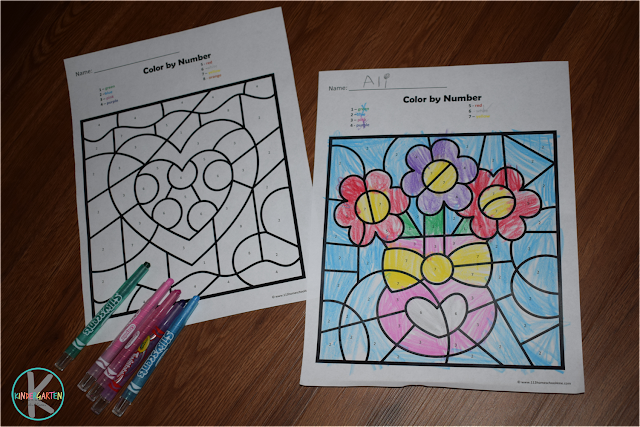 These Valentines Day Color by Number worksheets are a fun way for preschool, kindergarten, and first grade kids to practice identifying numbers while strengthening fine motor skills at the same time! 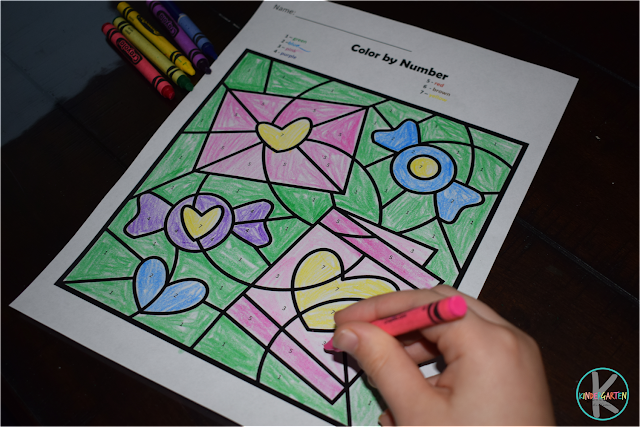 These Valentines Day Color by Number are a favorite at our house. They require no prep and are a fun way for kids to practice identifying numbers while strengthening their fine motor skills. My kids love seeing the mystery picture evolve. These LOW PREP math worksheets are a fun way for preschool, kindergarten, and first grade kids to practice identifying numbers, strengthen fine motor skills, and have fun with a Valentines Day theme. Perfect for math centers, homework, homeschool, or some seasonal fun!